Hello! The WSC #386 is up on the MFT's Card Challenge Blog. This is my take on this weeks sketch-I had to use the cross-stitch flower! Because I kind of love it! 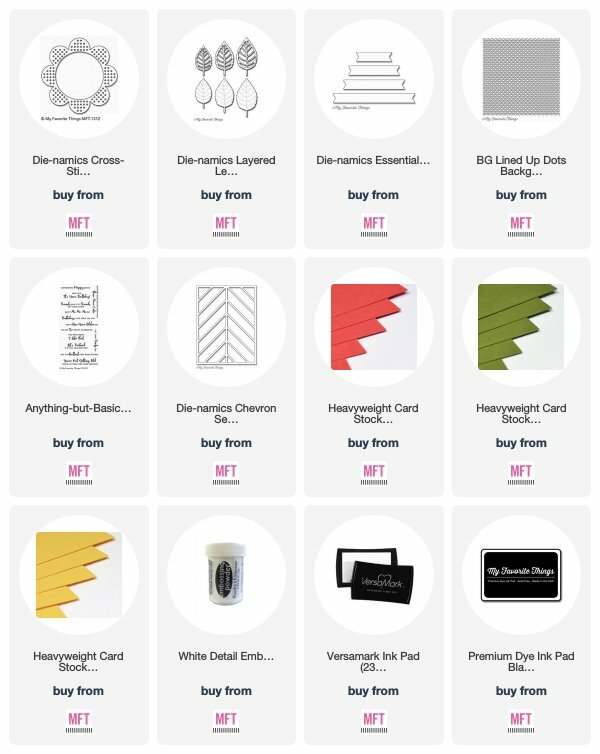 You have until Tuesday, May 29th, at noon EST to add your link to the MFT's Card Challenges Blog and be eligible for the prize of up to $20 in MFT Cash to be spent in the MFT boutique. Winners are chosen at random, so everyone has a chance! The weekly prize is a $15 Gift Voucher to My Favorite Things, but if you use MFT stamps and/or dies in your project, you’ll receive an extra $5.